Houghton Mifflin Harcourt, 9780618278893, 208pp. 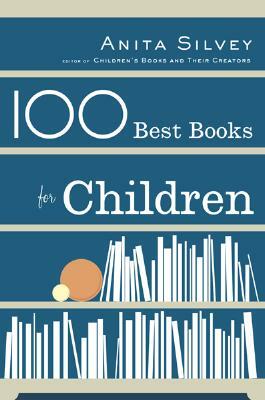 By selecting only 100 "best books" Anita Silvey distinguishes her guide from all the others and makes it possible to give young readers their literary heritage in the childhood years. The books we hear or read when we are children stay with us all our lives. If we miss them when we are young, we'll miss them forever: no Hungry Caterpillar, no Winn-Dixie, no Roll of Thunder. As adults we remember a few familiar favorites, but no one but an expert like Anita Silvey, with her thirty-five years at the heart of children's book publishing, could put together an authoritative list like this one. Parents, grandparents, teachers, librarians, and bookstore clerks will feel completely comfortable recommending these books for any child, from infancy to almost-teens. Silvey includes, in addition to the 100 best, extensive lists of books to meet special needs and interests as well as classics, selected by age, to round out this extraordinarily useful work.